Wise County, Texas Judge J.D. 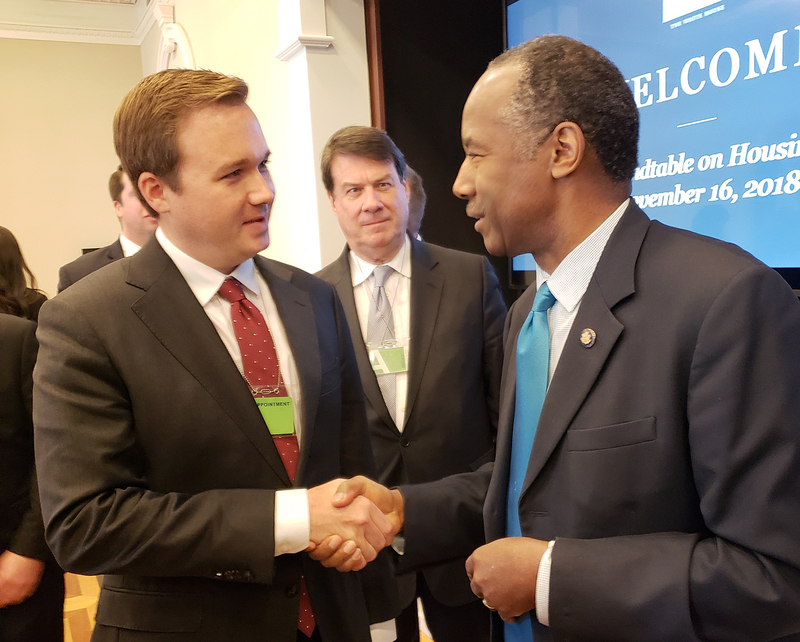 Clark and other county officials attended a White House roundtable discussion on housing affordability with Carson and other administration officials. Clark highlighted NACo’s recent publication Planning Ahead and thanked Carson and the Trump administration for their assistance in reducing veterans’ homelessness. County officials emphasized that affordable housing is a critical priority for urban, suburban and rural counties, and noted strategies they are utilizing locally to increase the supply of affordable housing. President Greg Cox spoke at the County Commissioners Association of Pennsylvania Fall Conference, held Nov. 18–20 in Dauphin County (Hershey). First Vice President Mary Ann Borgeson represented NACo at the Missouri Association of Counties Annual Conference in Camden County (Osage Beach), Nov. 18–20. Lauren Wilson is NACo’s new membership associate. Lauren is responsible for supporting the membership team and managing member and state association interactions. Before joining NACo, Lauren served as staff assistant at Van Scoyoc Associates. Prior to that, she interned at the U.S. House of Representatives and the National Confectioners Association. Brian Namey, public affairs director, served as a panelist and featured speaker at the Washington State Association of Counties Annual Conference, held Nov. 12–16 in Pierce County (Tacoma).